Researchers say you'll live a longer, happier, and healthier life if you consume less meat and more clean, plant-based protein. 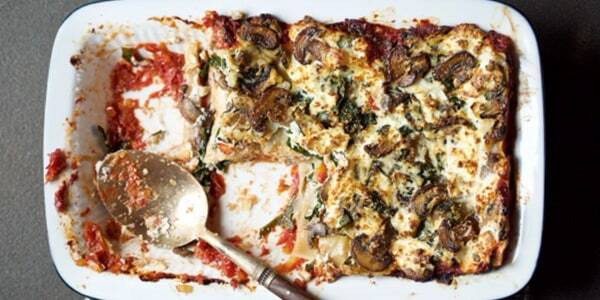 I say, my meatless lasagna (it can be our secret!) is a delicious way to enjoy a plant-based meal. With hearty cremini mushrooms, my rich homemade marinara, and ricotta cheese mix, this recipe will please the whole family. I developed this delicious homemade marinara recipe with vitamins, minerals, and the powerful antioxidant lycopene in mind. With each and every ingredient packed with health benefits, this sauce will become a household staple. Make a large batch and freeze whatever you're not using immediately so you always have it on hand- it will keep in the freezer for up to six months! Just thaw as needed.